Essentially Do It Again is made up of three exhilarating electro-pop tunes bookended by two epic, sprawling, atmospheric numbers. Mid-tempo opener Monument gets proceedings under way and at 9:58 in duration is all about building anticipation. With its linear arrangement and every passing verse, each complete with Robyn’s melodic teasing vocal hooks, the energy builds slowly – synths swell, risers squeal, and atmospheric breakdowns emerge – all hinting at an explosion. Spoiler alert: it doesn’t happen. Instead, this darkened tune sets the mood and hints at what lays ahead. Listen out for the unexpected sax solo, which first appears around the 5-minute mark and then re-emerges during the final minute. But on Sayit, it finally happens. Immediately the energy is raised with a four-to-the-floor kick and ascending synth arpeggios’ within the first 60 seconds it’s obvious Sayit is built for raving. At 1:15, the hats are introduced and away we go. In this track Röyksopp utilize Robyn’s vocals in the way they would a sample – cutting it up and repeating hooks for maximum effect. From rolling arpeggios to squelchy synths, the production is so textured its practically tangible. The EP’s title track and lead single Do It Again introduces the kind of exhilarating pop we all expect from this collaboration. The perfect unity of pop and electronica, Do It Again is bound to be a club-smash. The EDM-driven verses lead to a massive chorus of house beats, stuttered, syncopated synths, and pop hooks. This track explodes at 3:30 with its trance-like synth work. The title track has all the trademarks of Robyn album but the dance elements are pushed even further courtesy of Röyksopp. 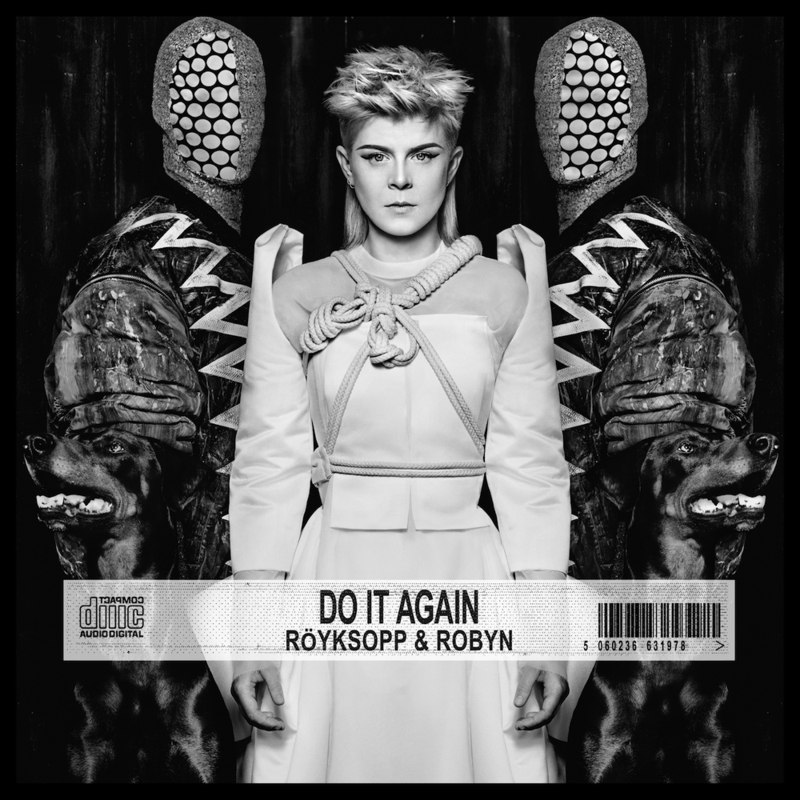 On the contrary, the synth grooves of Every Little Thing immediately typify the distinctive synth work we’ve come to love from Röyksopp while Robyn’s double-tracked vocal adds a sultry pop deliciousness. Every Little Thing is a heartfelt number (wait for the final section, which begins around 3:10 and takes the track out) and, like the title track, is a demonstration in electro-pop mastery. The EP’s final number Inside The Idle Hour Club is an atmospheric and slightly melancholic instrumental track. A gentle come-down after the rush of the previous three tracks, Inside The Idle Hour Club is made up of layers of thick synth pads that swim about while a constant, heartbeat-like kick drum gives the song a driving pulse. Gorgeous. A brilliant and inspired ride from start to finish – and one of our favourites of 2014 so far – Do It Again will be released on 26 May, 2014. Pre-order via iTunes now.